Just a quicky to share some love. 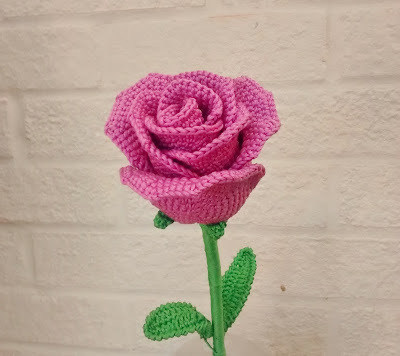 I found a link on Pinterest to a video tutorial for a beautiful rose. A video? No several lengthy videos where She's Crafty takes you through every stitch and every stage to make a rose bud, a half opened rose and a fully opened rose. It is a beautiful design. I've spend quite some time over the last two days with this CAL and I'm so happy with the results I had to share. Warning: You will need to use a 2.2mm hook with DK yarn - tricky and tight ... I upsized to a 2.5 because my yarn was splitting too frequently. Also, the videos are quite long and slow if you're a very competent crocheter. I was often waiting for her to catch up. With Valentine's Day coming up what better gift? This week I have made lots more patches. Three of them have been added to the original scumble. The idea was that the greens of winter are often dark and I felt that the work was becoming too spring like. A green triangle to fill a gap. Made from a boucle yarn. Will be explaining this and more in part 7 how to fill awkward gaps. A little piece ripple stitch done in 4ply green yarn. 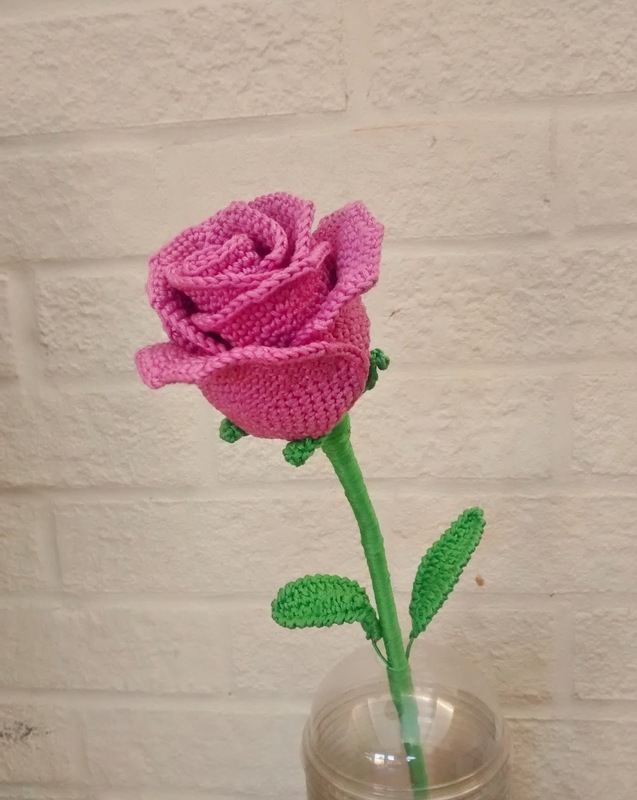 You can find instructions and diagrams to help you make this pattern at Planet June (another crocheter we admire). The third patch is an open loopy square. Choose any square that pleases you. There are some examples here. These are 12 inch squares so they are a bit big for the present work but you can stop anywhere you like in the patterns. This is the scarf so far. The trouble is it looks like some mad womans' jigsaw puzzle ( no comments thank you ). 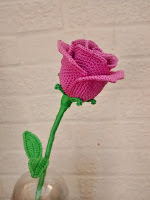 To link the piece into a whole garment you can use crochet edges that go across more than one patch. The first example is across spiral and one leaf. This is just a row of double crochet, the thickness of the yarn is irrelevant as long as the hook is approximately right for the yarn gauge. The way I make sure that the new edge fits is to watch the stitches and if they lean backwards I do two stitches in the next hole, if they lean forwards I might miss a stitch. This is something that needs practice but as I have said this is free form so if the edge you are crocheting becomes a bit frilly it doesn't matter. These were just crocheted to fit a gap: small square of dc and a little circle using htr, The paisley I made up but there are plenty of patterns on line PattiHaskins has gone to the trouble of making a PDF for anyone to use. Here they are sewn on.I am still not quite happy so I went looking for inspiration. This is my favourite -I think because Vicky and I both contributed. I also love the colours. I think the difference between this one and the current piece is the amount of raised texture so I am going to add some by means of Bullions. So here are the next addition there are only 2 new things one very easy - the good old granny square but done in furry yarn and the spiral using 2 colours and including bullions. I had struggled for ages trying to do bullions until I found a method using a straw (I told you I would explain it later.) There is a very good video showing how to do it here . It should also be clear why you need a straight hook. If you need to look at some more very beautiful free form, you can't go wrong with the work of Daniela Cerri. I particularly like the room divider screen. Next time how to fill awkward gaps. My method of making a free form piece is to make lots of small patches and then lay them down on the pin board, changing their positions until a particular combination pleases me. This is usually a small area which I then sew or crochet together. The inspiration for the small patches can come out of my head, from some of the free online patterns or from the book by Renata Kirk Patrick. (which actually belongs to Vicky) or the down loadable booklet by Prudence Mapstone - this is not free but it is really worth looking at her work - she is a real expert and her art is amazing. But this is free form you can do what you like, your edges do not need to be straight and your mistakes can become part of the pattern -I love it! So as I said having made a few motifs, I try them in different arrangements until I find something I like. I suspect most people are more organised than this and have a plan in advance of starting the crochet - but this is free form so we do whatever we feel like! Hooray! After a few tries I came across this combination which I liked so I have sewn it together, There are only four different motifs how to make them is explained below. ROW 1: 3ch and work 12 tr into the circle. Join with a ss to the third of the three ch. ROW 2: Then 1ch and then work 1dc in each stitch to the end, join with a ss to the first ch.and fasten off. But as I keep saying this is free form try making the first row 12 htr or 12 dc. Try working the second row in the back loops only. Make your dome taller by making the second row half trebles or even trebles. Have fun experiment. This one is called a wing and is quite tricky but you can find out how to do it here. Number #7 leads you to how to make spiral flowers and all you have to do is stop half way. 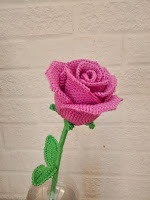 The same blog has lots of links to how to make spirals. I have a little confession; the brownish surface crochet was not in the original tube of yarn. I used a little bit of embroidery thread. 3. 2ch then work up the other side of the starting ch. ss, dc, htr, tr, 2hdtr, tr, htr, dc, ss. Then ss into point of leaf. 4. You can fasten off now if you want a smooth edged leaf or you can do another round working in back loops only (dc, dc, 2ch ) all around your leaf. If all this feels a bit daunting, Vicky has made a guided free form pattern for a note book cover to get you started. Next time Part5: crocheting directly on to the scumble. Part 6: more complicated patches and techniques. Very exciting; I am about to start a new free form project and share the thinking, preparation and process of the construction. Vicky has shared a post which shows you how to make some patches on the facebook page. It has been so popular that it inspired me to start another project. I was thinking about making another scarf but as you will see this may end up being a small project like a purse or a book cover. Part 1 Inspiration : I was listening to a news item about daffodils and the mild winter, I was also looking outside at the grass and thinking it needed cutting -In JANUARY!!! So the new project is going to be called 'Wintergreen'. All about this winter must include allusion to rain and flood, Christmas and spring flowers. Part 2 the Yarn: My favourite bit. Vicky keeps her yarn colour coded but I have to rummage through my entire stash to find mainly greens and some blues. A few years ago we did a fair and concentrated on free form advice and supplies. We made little bags of colour themed yarn, called Yarn Truffles and Bigger tubes called Yarn Candy. Having come across a tube of greens I decided that to start with I would try to make the free form using one of these tubes. I will need to add some yellow and some red and possibly some white - if we get any snow or frost. Now we have the materials. Part 3 will be the tools Part 4 the first patches.